Wrap these sporty sunglasses on your face and challenge the midday sun to a staring contest (Note: do not stare directly at the sun in these or any sunglasses). 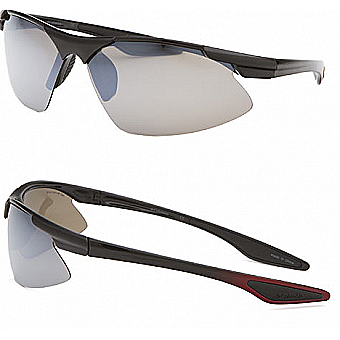 HD Polarized lenses reduce harmful UV rays and allow vision through glare and surface tension. Gripol nosepads and temple tips become "tacky" when in contact with moisture for an extra grip during all activities.